SpaceX has been named a Featured Employer by Orion for their commitment to hiring Military, for realizing the value that veterans bring to the workforce, and for continually seek to add transitioning and former Military service members to their ranks. Over the past four years, Orion has matched nearly 200 veterans with exciting careers at SpaceX in positions ranging from Engineers to Technicians. These veterans have served in all branches of the military in varying MOCs, and their expertise has helped SpaceX to continue to break new ground with their commercial resupply services missions to the International Space Station for NASA. 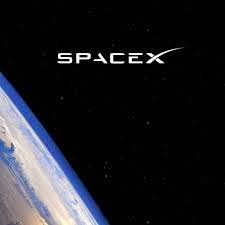 SpaceX embodies the definition of an Orion Featured Employer by offering exciting, fulfilling career opportunities that not only allow veterans to put their skills to work but also be a part of history. And the partnership between Orion and SpaceX continues with interviews being held frequently for Technical and Engineering positions. Veterans like Stephen, Melina, and Anthony are just a few of the many veterans at SpaceX helping the company to complete its mission. Interested in how your company can join the ranks of companies like SpaceX and become an implement a Military Recruiting Program? Click here to learn more.